The Wits All Residence Council (ARC) has a new chairperson, Mookameli ‘Mk’ Moeketsi, who was elected at the end of March. Moeketsi replaces Thandeka Khosa whose term ended last month. The ARC is made up of 17 student representatives from each of the Wits residences and one seat is occupied by the Student Representative Council (SRC). The ARC represents students in residences and presents their needs to Wits management. Moeketsi, a BSc honours in quantity surveying student, said he felt honoured to be put in this position. “I want to say thank you to the collective for entrusting me with the chairperson’s office. I am extremely humbled and wish to do nothing more than work to fight against the unjust actions of those in power,” he said. SRC president, Orediretse Masebe said Moeketsi was a genuine character who put the needs of students first. “He deserves the position and I trust that he will effect meaningful change in our reses,” continued Masebe, who said the fact that Moeketsi had served on the Wits Junction House Committee meant he had the experience to fulfil his duties. Moeketsi told Wits Vuvuzela that as the new leadership of the ARC, they want to tackle issues around the mental health of students. “We don’t want to just focus on residence students. In this university, people are subjected to inhumane living conditions such as sleeping in the library and just because we are lucky enough, it does not mean we shouldn’t have discourses and try to find solutions,” he said. 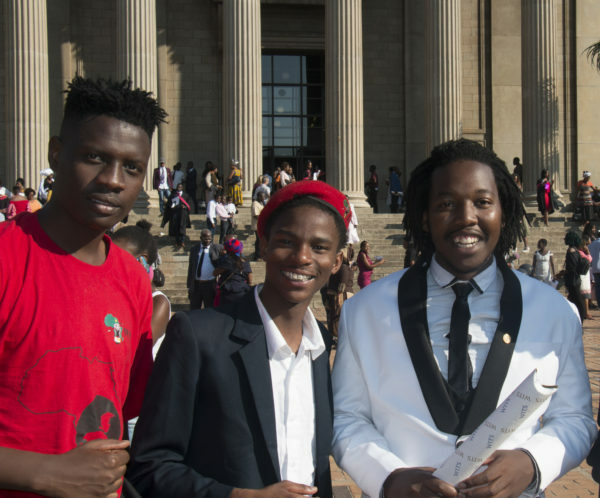 Former Men’s Res chairperson and BSc in Construction Studies student, Sizwe Bhengu, told Wits Vuvuzela that Moeketsi has the strong personality that is needed for this position. “He is very pro students and he is the kind of guy that takes charge in situations. I know he will fight for the students. The people have chosen well,” Bhengu said.